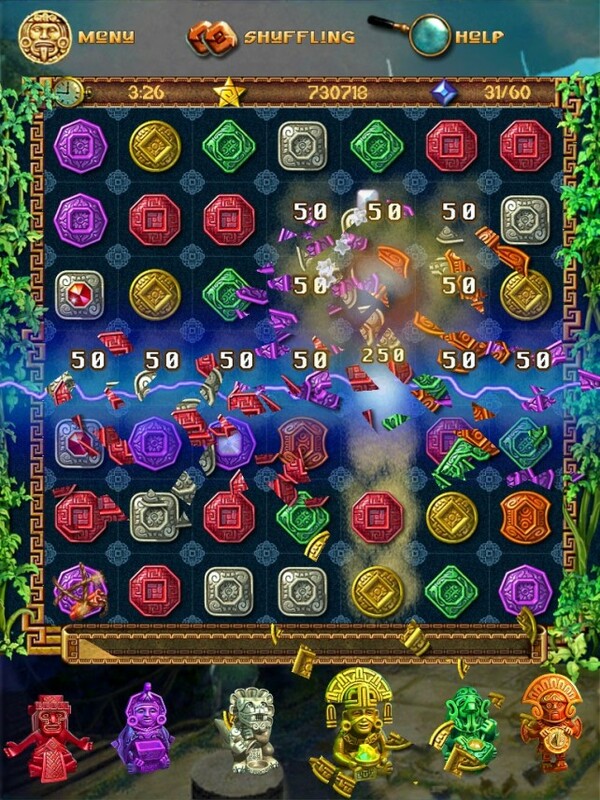 Everyone’s favorite match-three game, The Treasures of Montezuma, has just received an update! Built on a brand new engine, the game will impress you with stunning visuals and tremendous effects! 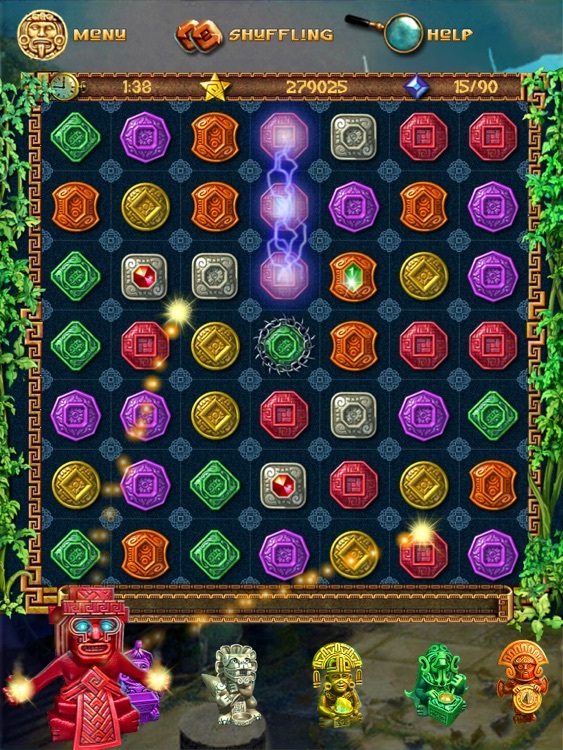 Another great addition is the ability to upgrade your bonuses and totems to even more powerful levels! Sound too good to be true? There’s more! Now you can unlock the full version without quitting the game! But that’s not all. 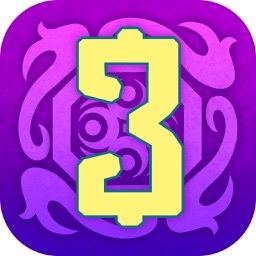 Going above and beyond, we have added a NEW CHAPTER to the iPad version! Update today, and get the most from your Montezuma experience! 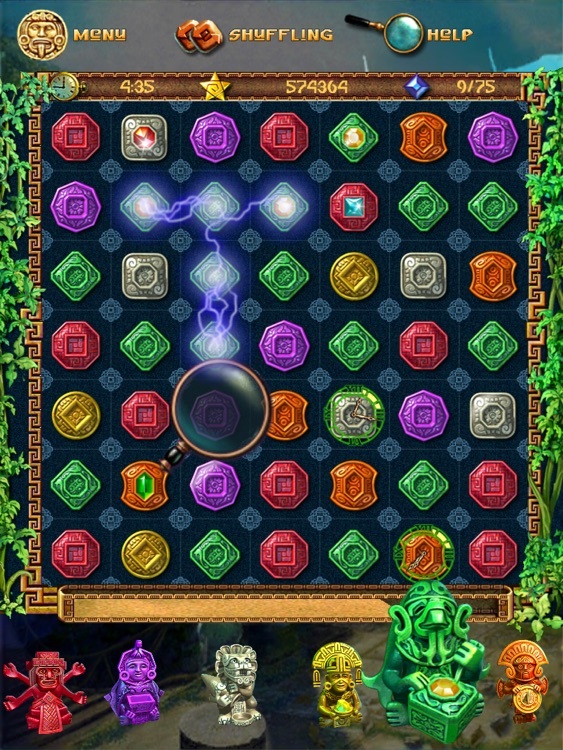 - ENCHANTED CAVERN HD – A stunning match-three journey beyond the edge of wonder! - FARM FRENZY 3 HD – Running a farm has never been more fun! - SNARK BUSTERS: WELCOME TO THE CLUB! 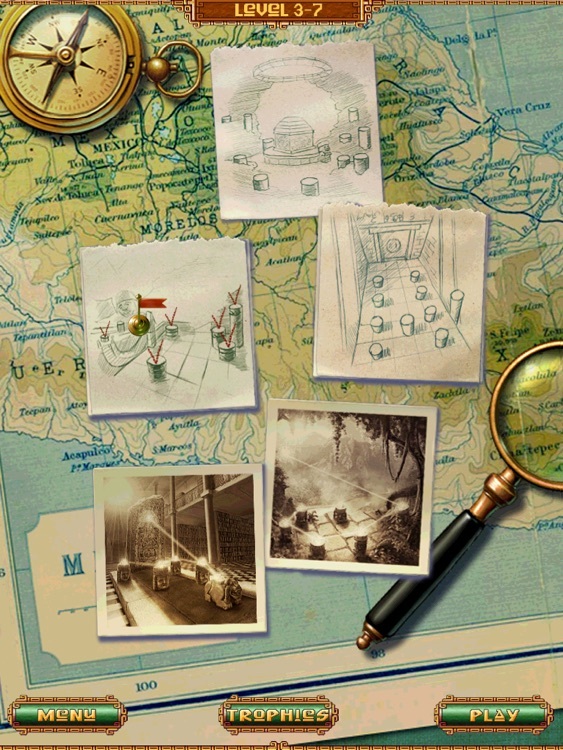 HD – Experience the ultimate steam punk romance as you search for the Snark! 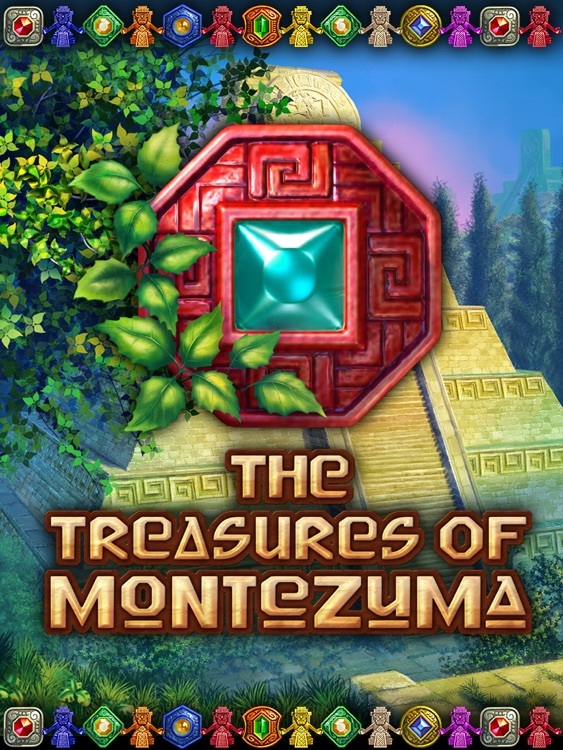 The Treasures of Montezuma 3 HD is the third installment of the trilogy based on the mythological hidden treasures deep in the ruins of the Tomb of Montezuma. 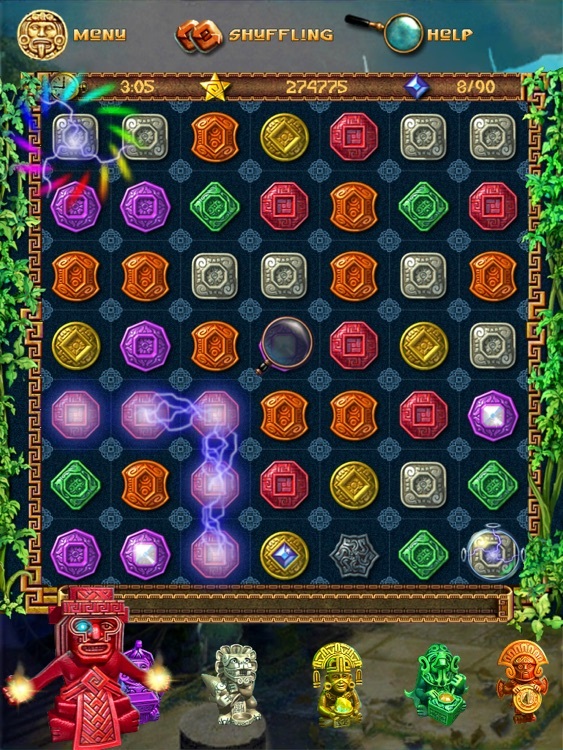 Test your match three skills on this iPad-only high definition adventure. 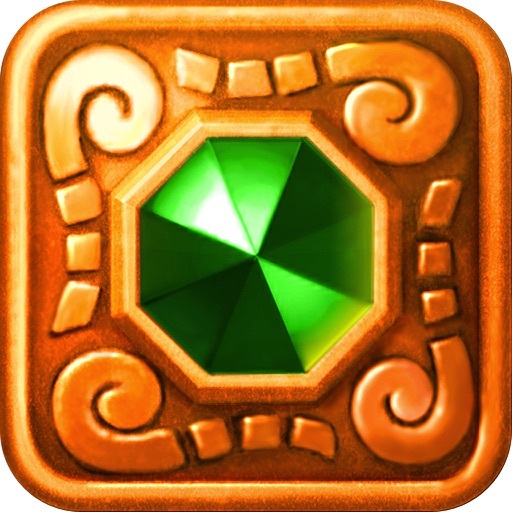 Review: The Treasures Of Montezuma HD - Stop Waiting For Bejeweled HD? 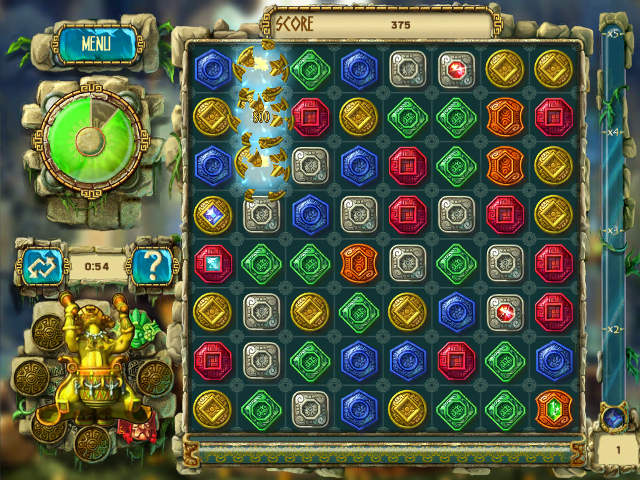 The Treasures of Montezuma HD is a new iPad version of a match three game similar to Bejeweled. Does it do enough to warrant your money, and is it worthy to substitute for waiting for Bejelwed finally coming to the iPad?